Dr. Yang obtained his Bachelor degree in mechanics and economics (dual degree) from Peking University in 2001, MPhil degree from HKUST in 2003, and PhD degree in solid mechanics and materials science from Princeton University in 2007. 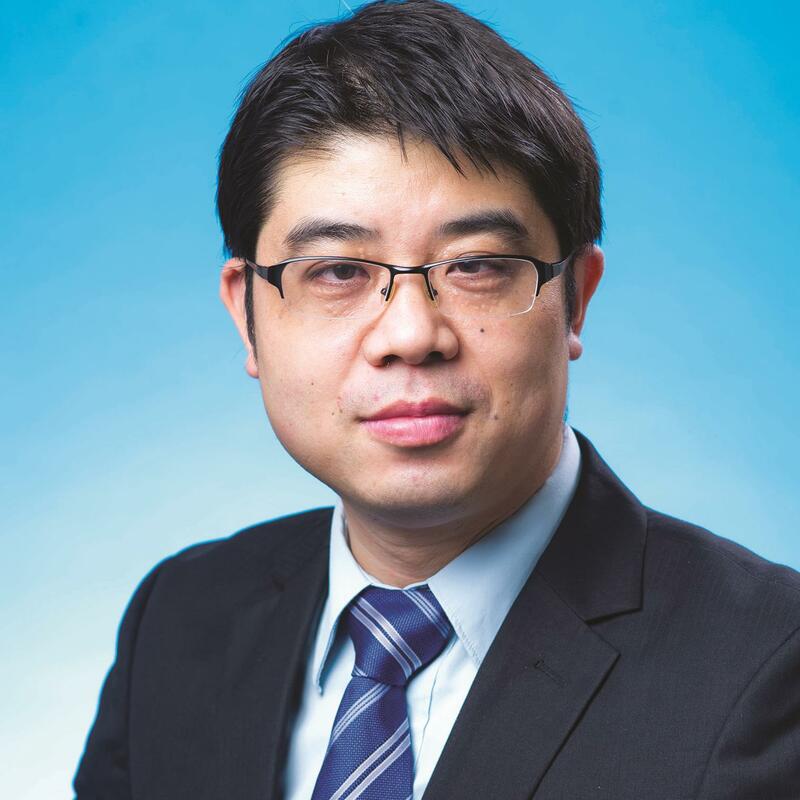 His primary research interest is in the development and mechanical behavior of advanced structural materials, such as metallic glasses and high entropy alloys. His recent research also extends to mechanics of flexible electronics and hydrogels. 1999 “GUANGCAI Scholarship （光彩獎學金）” Peking University （北京大學）. 2001 “Graduate with honor 優秀畢業生” Peking University (北京大學). 2002 “Postgraduate Studentship” The Hong Kong University of Science and Technology. 2003 “Postgraduate Studentship” The Hong Kong University of Science and Technology. 2004 “Graduate Student Fellowship” Princeton University. 2004 “Sayre Graduate Prize” Department of Mechanical and Aerospace Engineering, Princeton University. for outstanding performance in both research and course work during the first year of graduate study. 2007 “Wu Prize for Excellence” Princeton University. for upper-year graduate students who have performed at the highest level in course, research and teaching. 2016 “The President’s Award” City University of Hong Kong. for exemplary contributions to research and professional education. 2018 “Outstanding Supervisor Award” City University of Hong Kong. Jul 2018 - Now, Professor, Department of Mechanical Engineering, City University of Hong Kong. Jun 2012 - Jun 2018, Assistant & Associate Professor, Department of Mechanical and Biomedical Engineering, City University of Hong Kong. Oct 2007 - May 2012, Assistant Professor, Department of Mechanical Engineering, Hong Kong Polytechnic University. Ye, Y.F. , Zhang, Y.H. , He, Q.F. , Zhuang, Y. , Wang, S. , Shi, S.Q. , Hu, A. , Fan, J. & Yang, Y. (2018). Atomic-scale distorted lattice in chemically disordered equimolar alloys. Acta Materialia. 150. 182 - 194. S., An. , Su, R. , Hu, Y.C. , Liu, J.B. , Yang, Y. , Liu, B.X. & Guan, P.F. (2018). Common mechanism for controlling polymorph selection during crystallization in supercooled metallic liquids. Acta Materialia. 161. 367 - 373. Hu, Y.C. , Li, Y.W. , Yang, Y. , Guan, P.F. , Bai, H.Y. & Wang, W.H. (2018). Configuration correlation governs slow dynamics of supercooled metallic liquids. Proceedings of the National Academy of Sciences of the United States of America (PNAS). 115(25). 6375 - 6380. Huang, B. , Ge, T.P. , Liu, C.L. , Luan, J.H. , He, Q.F. , Xuan, Q.X. , Wang, W.X. , Zhang, K. , Bai, H.Y. , Shek, C.H. , Liu, C.T. , Yang, Y. & Wang, W.H. (2018). Density fluctuations with fractal order in metallic glasses detected by synchrotron nano-computed tomography. Acta Materialia. 155. 69 - 79. Zhao, Y.L. , Yang, T. , Zhu, J.H. , Chen, D. , Yang, Y. , Hu, A. , Liu, C.T. & Kai, J.J. (2018). Development of high-strength Co-free high-entropy alloys hardened by nanosized precipitates. Scr. Mater. 148. 51 - 55. Qiao, J.C. , Liu, X.D. , Wang, Q. , Liu, C.T. , Lu, J. & Yang, Y. (2018). Fast secondary relaxation and plasticity initiation in metallic glasses. National Science Review. 5(5). 616 - 618. Li, F.C. , Wang, T.Y. , He, Q.F. , Sun, B.A. , Guo, C.Y. , Feng, T. & Yang, Y. (2018). Micromechanical mechanism of yielding in dual nano-phase metallic glass. Scr. Mater. 154. 186 - 191. Liu, W.H. , Sun, B.A. , Gleiter, H. , Lan, S. , Tong, Y. , Wang, X.L. , Hahn, H. , Yang, Y. , Kai, J.J. & Liu, C.T. (2018). Nanoscale structural evolution and anomalous mechanical response of nanoglasses by cryogenic thermal cycling. Nano Lett. 18(7). 4188 - 4194. Ding, Z.Y. , He, Q.F. , Wang, Q. & Yang, Y. (2018). Superb strength and high plasticity in laves phase rich eutectic medium-entropy-alloy nanocomposites. Int. J. Plasticity. 16. 57 - 72. Wang, D.P. , Yang, Y. , Niu, X.R. , Lu, J. , Yang, G.N. , Wang, W.H. & Liu, C.T. (2017). Resonance ultrasonic actuation and local structural rejuvenation in metallic glasses. Phys. Rev. B. 95. 235407 . Zhao, Y.L. , Yang, T. , Tong, Y. , Wang, J. , Luan, J. , Jiao, Z.B. , Chen, D. , Yang, Y. , Hu, A. , Liu, C.T. & Kai, J.J. (2017). Heterogeneous precipitation behavior and stacking-fault-mediated deformation in a CoCrNi-based medium-entropy alloy. Acta Mater. 138. 72 - 82. Wang, S. , Ye, Y.F. , Wang, Q. , Shi, S.Q. & Yang, Y. (2017). The breakdown of strength size scaling in spherical nanoindentation and microcompression of metallic glasses. Scr. Mater. 130. 283 - 287. Li, F.C. , Wang, S. , He, Q.F. , Zhang, H. , Sun, B.A. , Lu, Y. & Yang, Y. (2017). The stochastic transition from size dependent to size independent yield strength in metallic glasses. Journal of the Mechanics and Physics of Solids. 109. 200 - 216. Huang, B. , He, Q.F. , Wang, A.D. , Zhao, C.L. , Wang, Q. , Yang, Y. & Liu, C.T. (2017). Tunable elastic heterogeneity caused by deformation-induced magnetization in flexible metallic glass. Scr. Mater. 130. 7 - 11. Wang, Q. , Liu, J.J. , Ye, Y.F. , Liu, T.T. , Wang, S. , Liu, C.T. , Lu, J. & Yang, Y. (2017). Universal secondary relaxation and unusual brittle to ductile transition in metallic glasses. Materials Today. 20(6). 293 - 300. Huang, B. , Zhu, Z.G. , Ge, T.P. , Bai, H.Y. , Sun, B.A. , Yang, Y. , Liu, C.T. & Wang, W.H. (2016). Hand in hand evolution of boson peak and slow beta-relaxation in La-based metallic glasses. Acta Mater. 110. 73 - 83. Hu, Y.C. , Wang, Y.Z. , Su, R. , Cao, C.R. , Li, F. , Sun, C.W. , Yang, Y. , Guan, P.F. , Ding, D.W. , Wang, Z.L. & Wang, W.H. (2016). A highly efficient and self-stabilizing metallic glass catalyst for electrochemical hydrogen generation. Adv. Mater. 28. 10293 - 10297. Sun, B.A. , Hu, Y.C. , Wang, D.P. , Zhu, Z.G. , Wen, P. , Wang, W.H. , Liu, C.T. & Yang, Y. (2016). Correlation between local elastic heterogeneities and overall elastic properties in metallic glasses. Acta Mater. 121. 266 - 276. Ye, Y.F. , Wang, Q. , Lu, J. , Liu, C.T. & Yang, Y. (2016). High entropy alloys: Challenges and prospects. Mater. Today. 19(16). 349 - 362. Wang, Z.R. , Zeng, J.F. , Ren, X.C. , Chee, A.J.Y. , Siu, B.Y.S. , Chung, W.C. , Yang, Y. , Yu, A.C.H. , Tsang, A.C.O. , Chow, K.W. & Chan, P.K.L. (2016). High sensitivity, wearable, piezoresistive pressure sensors based on irregular microhump structures and its applications in body motion sensing. Small. 12(28). 3827 - 3836. Ye, Y.F. , Liu, X.D. , Wang, S. , Fan, J. , Liu, C.T. & Yang, Y. (2016). The kinetic origin of delayed yielding in metallic glasses. Appl. Phys. Lett. 108. 251901 . Sun, B.A. , Song, K.K. , Pauly, S. , Gargarella, P. , Yi, J. , Wang, G. , Liu, C.T. , Eckert, J. & Yang, Y. (2016). Transformation-mediated plasticity in CuZr based metallic glass composites: A quantitative mechanistic understanding. Int. J. Plasticity. 85. 34 - 51. Hu, Y.C. , Guan, P.F. , Li, M.Z. , Liu, C.T. , Yang, Y. , Bai, H.Y. & Wang, W.H. (2016). Unveiling atomic-scale features of inherent heterogeneity in metallic glass by molecular dynamics simulations. Phys. Rev. B. 93. 214202 . Ye, Y.F. , Liu, C.T. & Yang, Y. (2015). A geometric model for intrinsic residual strain and phase stability in high entropy alloys. Acta Mater. 94. 152 - 161. Wang, Z.J. , Wang, Y.H. , Yang, Y. , Wang, J.C. & Liu, C.T. (2015). Atomic size effect and solid solubility of multicomponent alloys. Scr. Mater. 94. 28 - 31. Wang, S. , Ye, Y.F. , Sun, B.A. , Liu, C.T. , Shi, S.Q. & Yang, Y. (2015). Softening-induced plastic flow instability and indentation size effect in metallic glass. J. Mech. Phys. Solids. 77. 70 - 85. Guo, R. , Yu, Y. , Zeng, J.F. , Liu, X. , Zhou, X. , Liu, L. , Gao, T. , Li, K. , Yang, Y. , Zhou, F. & Zheng, Z.J. (2015). Bio-mimicking elastomeric petals as versatile substrates for omnidirectional stretchable and printable electronics. Advanced Science. 1400021 . Ye, Y.F. , Wang, Q. , Lu, J. , Liu, C.T. & Yang, Y. (2015). Design of high entropy alloys: A single-parameter thermodynamic rule. Scr. Mater. 104. 53 - 55. Li, Y. , Wang, J. , Ye, J.C. , Ke, X. , Gou, G. , Wei, Y. , Xue, F. , Wang, J. , Wang, C. , Peng, R. , Deng, X. , Yang, Y. , Ren, X. , Chen, L.Q. , Nan, C.W. & Zhang, J.X. (2015). Mechanical switching of nanoscale multiferroic phase boundaries. Adv. Fun. Mater. 25(22). 3405 - 3413. Wang, Q. , Zhang, S.T. , Yang, Y. , Liu, C.T. , Dong, Y.D. & Lu, J. (2015). Unusual fast secondary relaxation in metallic glass. Nat. Commun. 6. 7876 . Ke, H.B. , Sun, B.A. , Liu, C.T. & Yang, Y. (2014). Effect of size and base-element on the jerky-flow dynamics in metallic glass. Acta Mater. 63. 180 - 190. Liu, Z.Y. , Chen, M.W. , Yang, Y. & Liu, C.T. (2014). Origin of yielding in metallic glasses: Stress-induced flow. Appl. Phys. Lett. 104. 251901 . Sun, B.A. , Liu, Z.Y. , Yang, Y. & Liu, C.T. (2014). Delayed shear banding and evolutionof local plastic flow in a metallic glass. Appl. Phys. Lett. 105. 091904 . Yu, Y. , Zeng, J.F. , Chen, C. , Xie, Z. , Guo, R. , Liu, Z. , Zhou, X. , Yang, Y. & Zheng, Z. (2014). Three-dimensional compressible and stretchable conductive composites. Adv. Mater. 26(5). 810 - 815. Guo, R. , Yu, Y. , Zhou, X. , Yang, Y. , Gao, Y. , Zhou, F. & Zheng, Z. (2013). Matrix-assisted catalytic printing for the fabrication of multi-scale, flexible, foldable, and stretchable metal conductors. Adv. Mater. 25. 3343 - 3350. Huo, L.S. , Zeng, J.F. , Wang, W.H. , Liu, C.T. & Yang, Y. (2013). The dependence of shear modulus on dynamic relaxation and evolution of local structural heterogeneity in a metallic glass. Acta Mater. 61(12). 4329 - 4338. Liu, Z.Y. , Yang, Y. & Liu, C.T. (2013). Yielding and shear-banding in metallic glasses. Acta Mater. 61. 5928 - 5936. Yang, Y. , Zeng, J.F. , Volland, A. , Blandin, J.J. , Gravier, S. & Liu, C.T. (2012). Fractal Growth ofDense-Packing Phase in Annealed Metallic Glass Imaged by High-Resolution Atomic Force Microscopy. Acta Mater. 60(13-14). 5260 - 5272. Xie, Z. , Shen, Y. , Zhou, X. , Yang, Y. , Tang, Q. , Miao, Q. , Su, J. , Wu, H. & Zheng, Z. (2012). Polymer pen lithography using dual-elastomer tip arrays. Small. 8(17). 2664 - 2669. Wang, Q. , Liu, C.T. , Yang, Y. , Dong, Y.D. & Lu, J. (2011). Atomic-Scale Structural Evolution and Stability of Supercooled Liquid of a Zr-Based Bulk Metallic Glass,. Phys. Rev. Lett. 106. 215505 . Liu, Z.Y. , Yang, Y. & Liu, C.T. (2011). Size-affected shear-band speed in bulk metallic glasses. Appl. Phys. Lett. 99(17). 171904 . Yang, Y. , Ye, J.C. , Lu, J. , Wang, Q. & Liaw, P.K. (2010). Characteristic length scales governing plasticity/brittleness of bulk metallic glasses at ambient temperature. Appl. Phys. Lett. 96. 011905 . Ye, J.C. , Lu, J. , Liu, C.T. , Wang, Q. & Yang, Y. (2010). Atomistic Free-Volume Zones and Inelastic Deformation of Metallic Glasses. Nat. Mater. 9. 619 - 623. Liu, Z.Y. , Guo, S. , Liu, X. , Ye, J.C. , Yang, Y. , Wang, X.L. , Yang, L. , An, K. & Liu, C.T. (2010). Micromechanical characterization of casting induced inhomogeneity in an Al0.8CoCrCuFeNi high entropy alloy. Scr. Mater. 64(9). 868 - 871. Yang, Y. , Ye, J.C. , Lu, J. , Liu, F.X. & Liaw, P.K. (2009). Effects of specimen geometry and base material on the mechanical behavior of focused-ion-beam-fabricated metallic-glass micropillars. Acta Mater. 57. 1613 - 1623. Ye, J.C. , Lu, J. , Yang, Y. & Liaw, P.K. (2009). Study of the intrinsic ductile to brittle transition mechanism of metallic glasses. Acta Mater. 57. 6037 - 6046. Yang, Y. , Yao, N. , Soboyejo, W.O. & Tarquinio, C. (2008). Deformation and fracture in micro-tensile tests of electrodeposited freestanding nickel thin films. Scr. Mater. 58. 1062 - 1065. Yang, Y. , Yao, N. , Imasogie, B. & Soboyejo, W.O. (2007). Nano-scale and sub-micron fatigue crack growth in nickel micro-beams. Acta Mater. 55. 4305 - 4315.